This is Tausha from Sassy Style. I love being able to come over and share some of my crazy, decorating ideas with all of you! 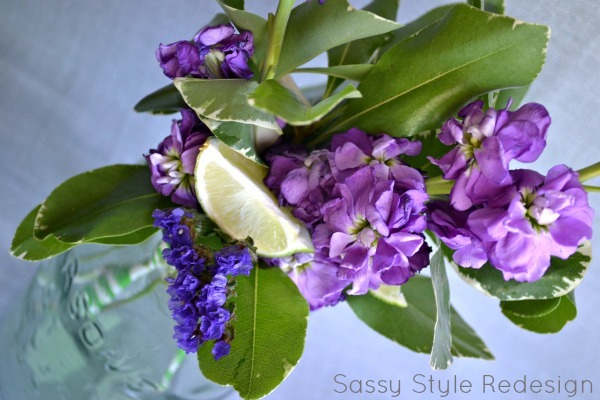 Today I am going to talk about flowers from the grocery store! We all see the flowers at the grocery store and sometimes we pick them up and sometimes we walk right past. 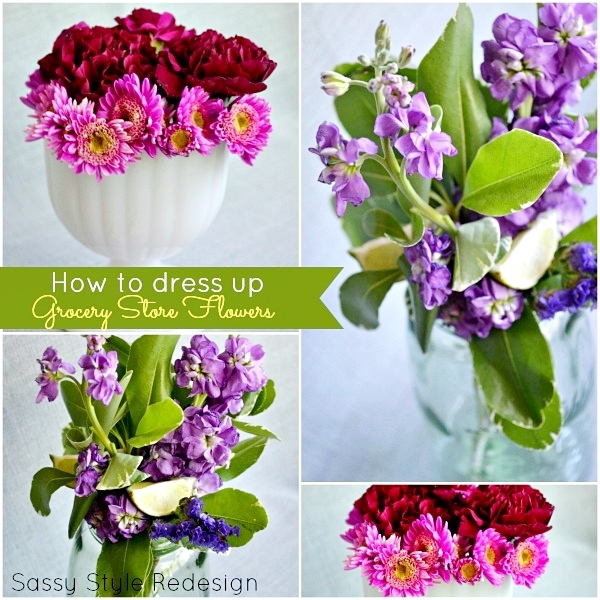 Well, I am hoping that I will inspire you to pick up those grocery store flowers and give them a little love. The main reason that I like flowers from the grocery store is because they are cheap! I love fresh flowers, but I can’t afford to pay a lot of money for something that will die..really fast. So, I dress them up. I use simple things that you can pick up at the grocery store and things that you will find in your craft room. Yes, this arrangement was made with grocery store flowers with one teeny, tiny addition that totally puts it over the top. Yep, I said lime picks. 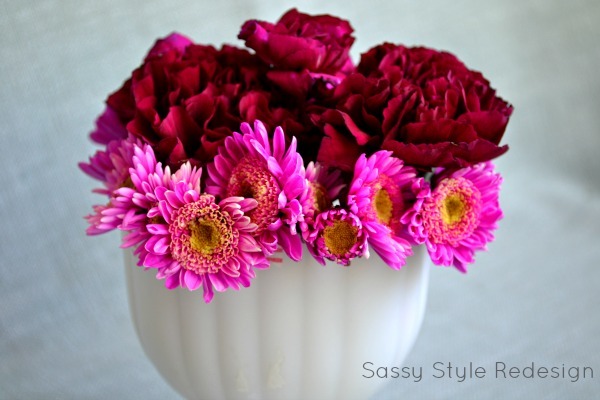 They are super simple and are a great way to a little something to your arrangements. You could use any type of citrus fruits.. Limes, lemons, oranges. 2- You are going to cut up your lime into pieces. You want your piece to be large enough that it will hold the skewer. I usually cut mine in 4th’s. 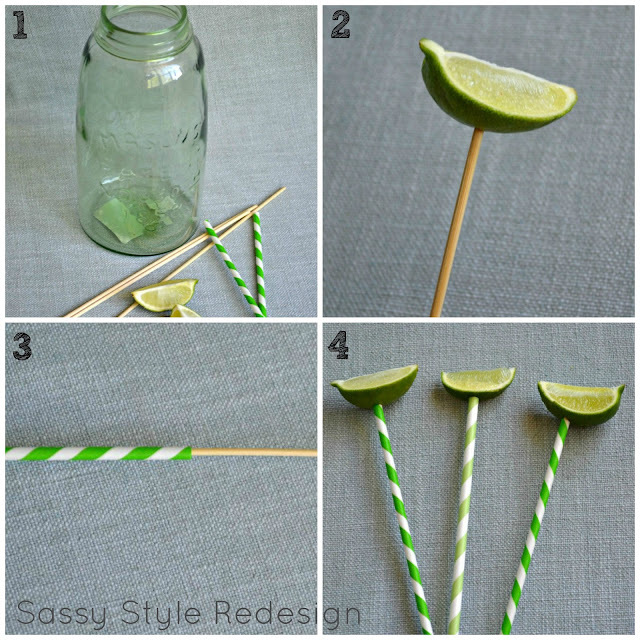 5-Cut off any part of the skewer that is not covered by the straw. pull in a pop of unexpected color. What can I say, it’s cheap and little and such a awesome tool to pull out when you need a little something for a project. 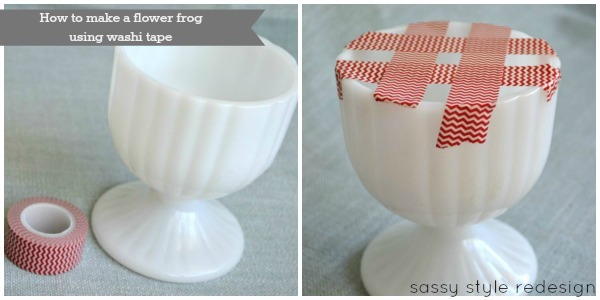 You can make a flower frog with a roll of washi tape and a cute container. Washi tape-you want to make sure that you use a thin width. 2- All you need to do is make a grid pattern over your container. Super simple! 3-Trim your sides of the tape so you can’t see it when you add the flowers. 4-Stand back and look at how pretty your 4 minute arrangement looks! 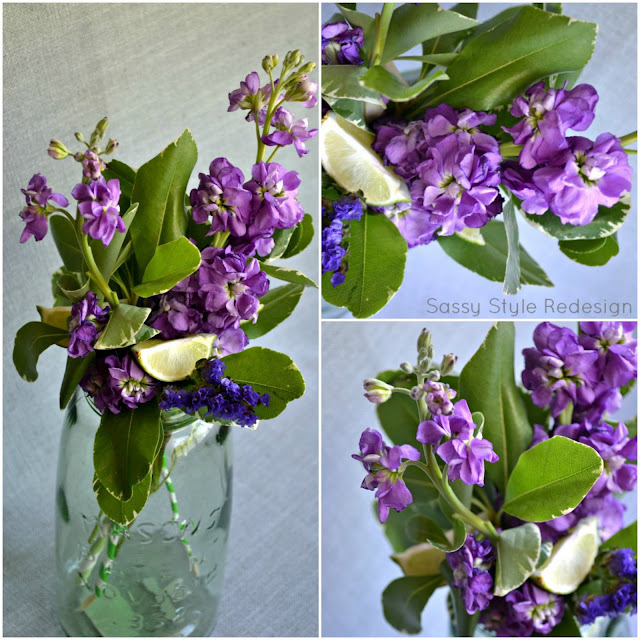 Two super simple ideas that will hopefully make you want to run to the grocery store to pick up some flowers for your house! with you and your amazing readers! ps-I would love for you to stay in touch.. I love all these tips… they are so clever! How cute are those lime picks between the flowers? Take a minute and visit my girl Tausha over at her fantastic blog Sassy Style. 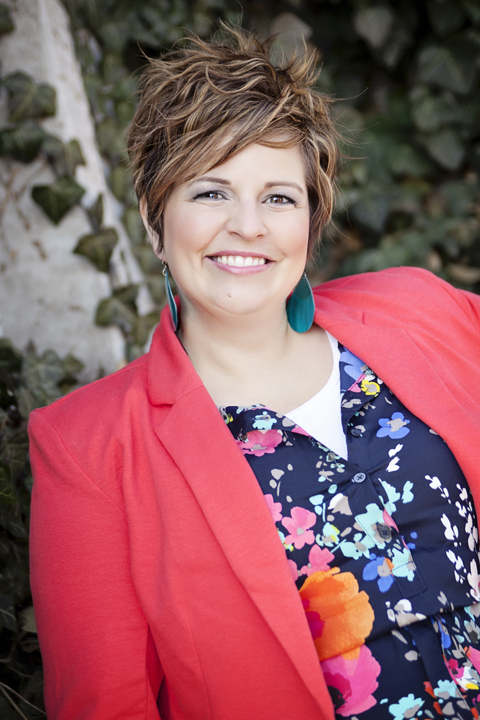 She has a ton of video tutorials and great decorating tips. 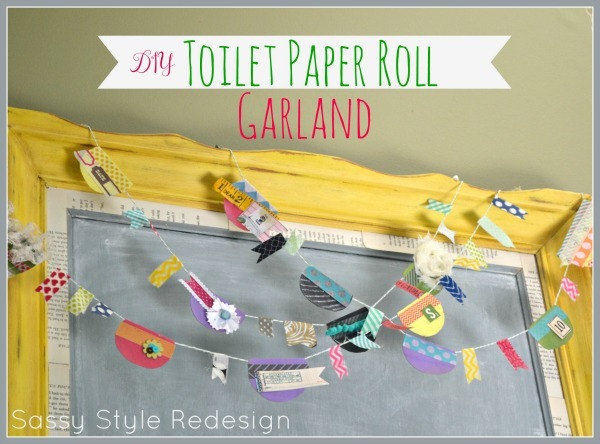 I love this idea for a Summer craft with the kiddos. 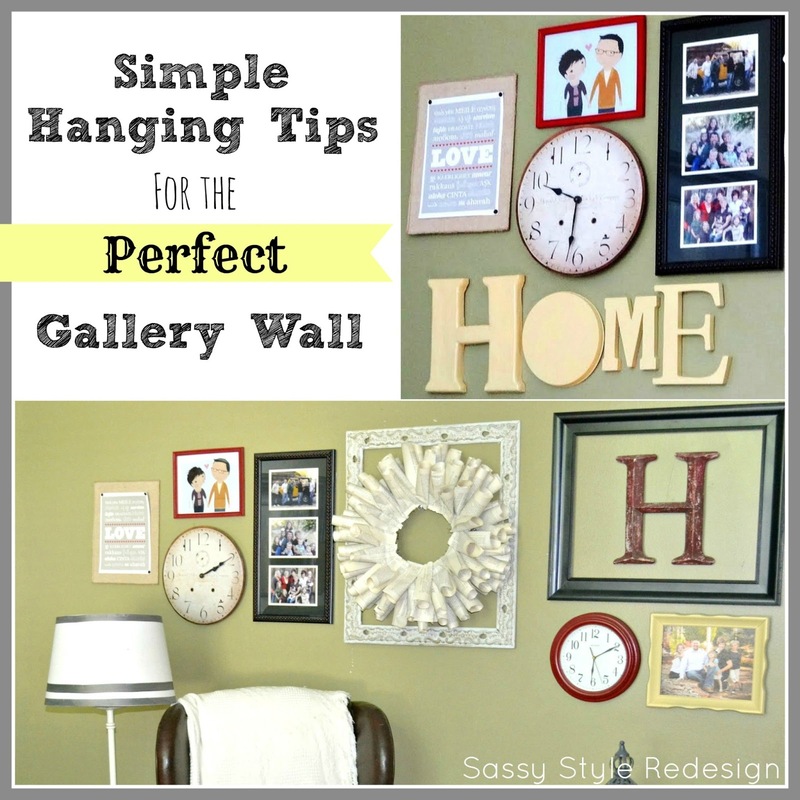 And also take a look of these Simple Hanging Tips for the perfect Gallery Wall.